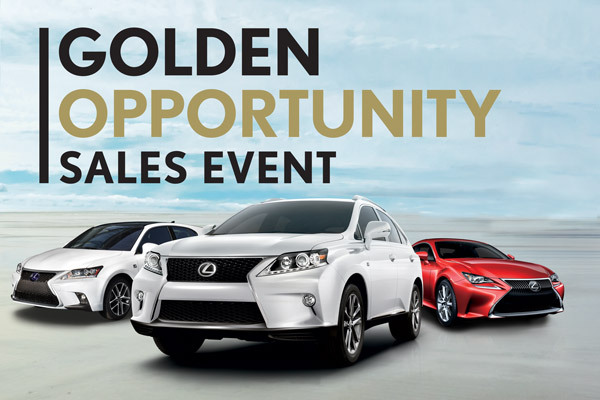 All offers are on approved credit though Lexus financial. Not all buyers will qualify. Each offer is on a 36-month lease with 10k miles per year, fee of $.25 for each mile above allowed miles. Sale price does not include tax, title, licensing, and $299 dealer doc fee. 1 NEW 2015 LEXUS CTh $299 for 36 months. $1,099 due at signing. No security deposit required. Offer based on MSRP of $34,494 including delivery, processing and handling. Monthly payment may vary depending on final price of vehicle & your qualifications. Must take delivery by 9/8/2015. 2 NEW 2015 LEXUS RX 350 $399 lease for 36 months. $2,999 due at signing. No security deposit required. Offer based on MSRP of $48,008 including delivery, processing and handling. Monthly payment may vary depending on final price of vehicle & your qualifications. Must take delivery by 9/8/2015. 3 NEW 2015 LEXUS RC 350 $449 Lease for 36 months. $3,999 due at signing. No security deposit required. Offer based on MSRP of $51,908 including delivery, processing and handling. Monthly payment may vary depending on final price of vehicle & your qualifications. Must take delivery by 9/8/2015.